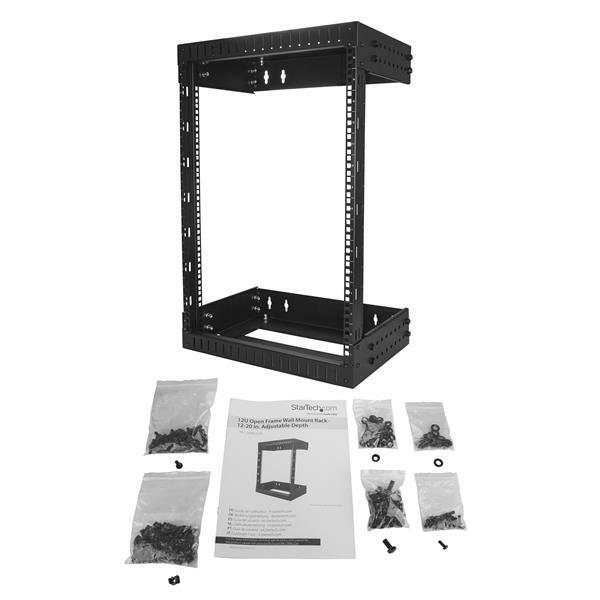 This open frame wallmount server rack provides 15U of storage, helping you to save space and stay organized. The equipment rack features an adjustable depth and can hold a total of up to 198 lb (90 kg). 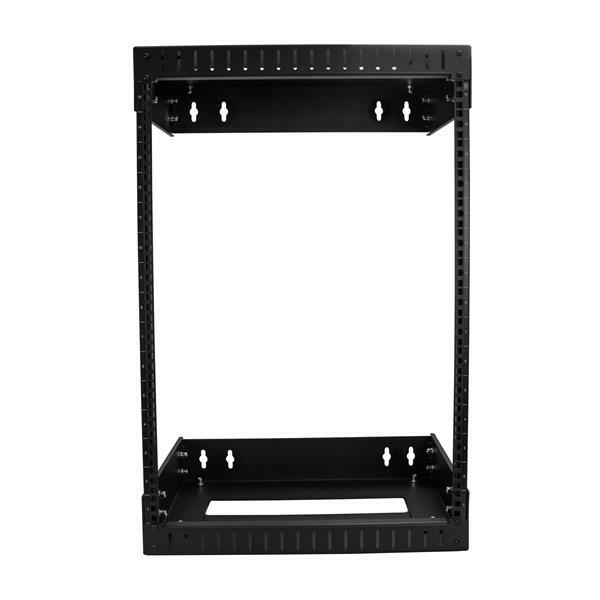 The open frame rack adjusts from 12 to 20 inches (30.4 to 50.8 cm) to accommodate larger data, network, and telecommunication devices. The above-average depth also gives you the option to mount shelves and other accessories. When space is limited you can wall-mount the open-frame rack in a server room, office, or above a doorway, to expand your workspace and ensure your equipment is easy to access. 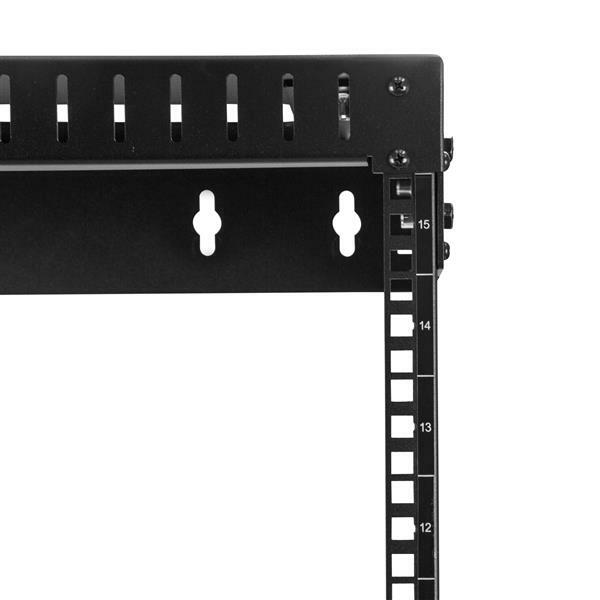 The rack’s open frame design promotes passive cooling; ensures easy access to your rack-mounted equipment and makes it simple to configure mounted devices, which saves you time. 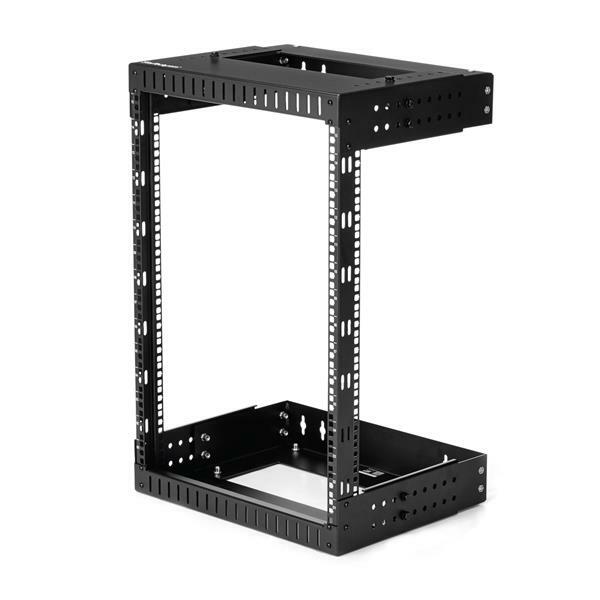 With an adjustable depth as low as 12 inches (30.4 cm), this network rack is perfect for smaller spaces. It’s easy to assemble and features wall-mounting holes that are spaced 12 and 16 in. apart, making it suitable for mounting on almost any wall, based on North American wall-frame stud-spacing standards.